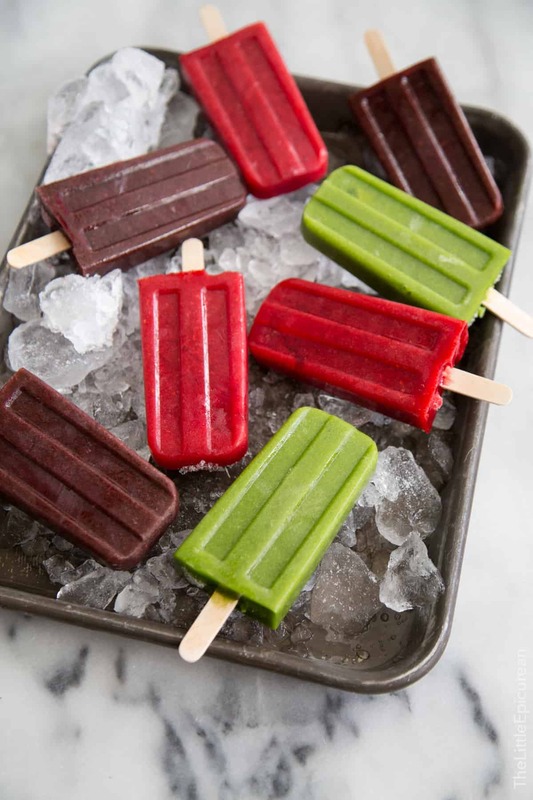 Smoothie popsicles: take your favorite smoothies and turn them into a frozen treat. It’s the kind of dessert that is acceptable for breakfast! Hello from Charleston! I’m here for the week attending a photography workshop with the super talented and fabulous Helene Dujardin. 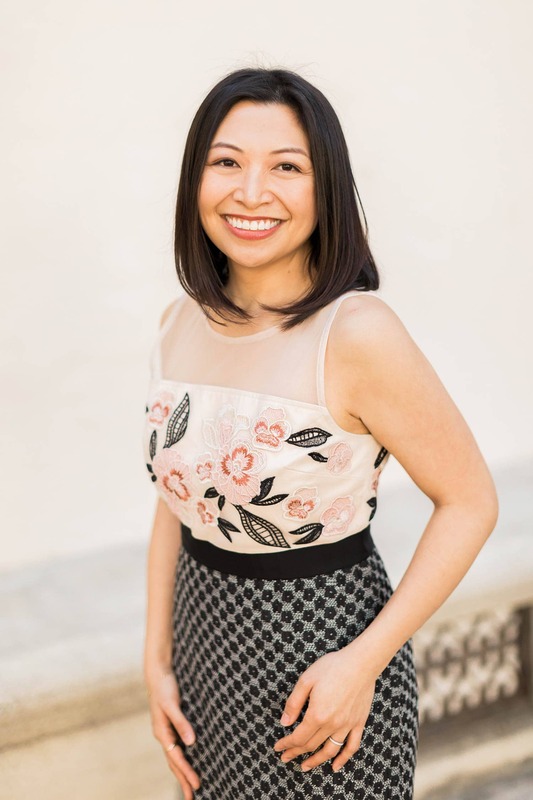 (I’ve been sharing little tidbits on IG stories and Snapchat.) It’s a week long workshop and we’re busy from morning to midnight, and I’m LOVING IT! I hope to share a ton more about it next week. In the meantime, let’s talk about all those fruit and veggie smoothies I shared a few weeks ago. In order to take the photograph below, I had to make a week’s worth of smoothies all at once. I know it’s still winter and it’s probably still raining/snowing/sweater-weather where you are, but it’s never too early to start thinking and planning for the summer. 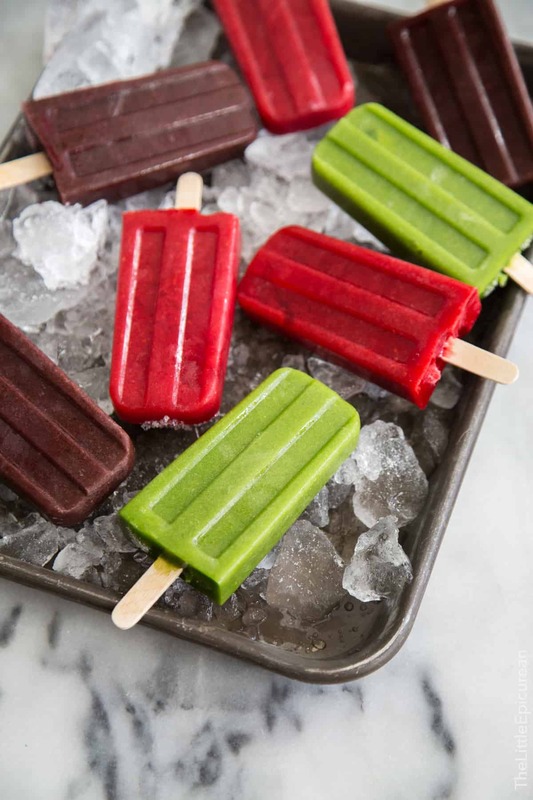 And honestly, I don’t think popsicles are ever out of season. I live off of popsicles, ice cream, and shave ice all year long. Also, it’s summer in Australia and I’m jealous. I’ve been eyeing summery foods on Donna Hay Magazine’s Instagram feed. It’s been so cold in California these last few weeks. I’m not used to it. I’m (impatiently) waiting for the temps to return to the 80s so I can sit outside with the pups and enjoy my popsicles under the sun. 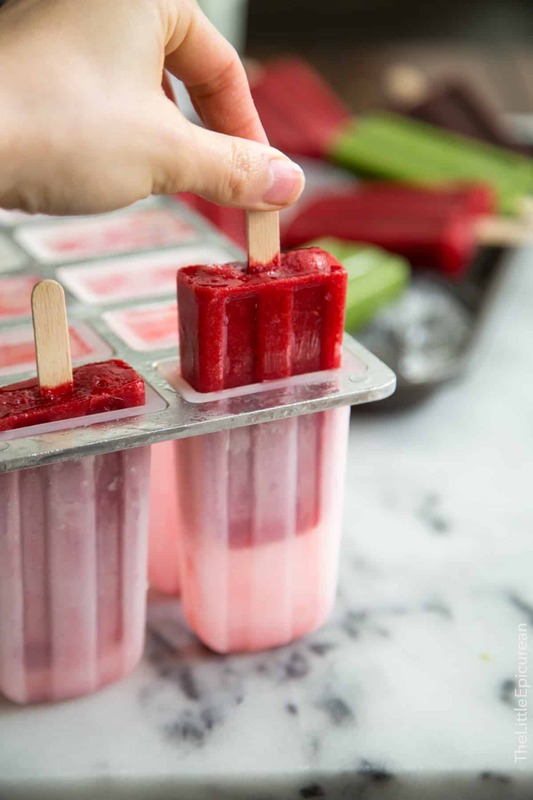 These popsicle molds from Amazon are my absolute favorite. I’ve had them for years and they continue to make me happy. Place ingredients in a blender and process until smooth. 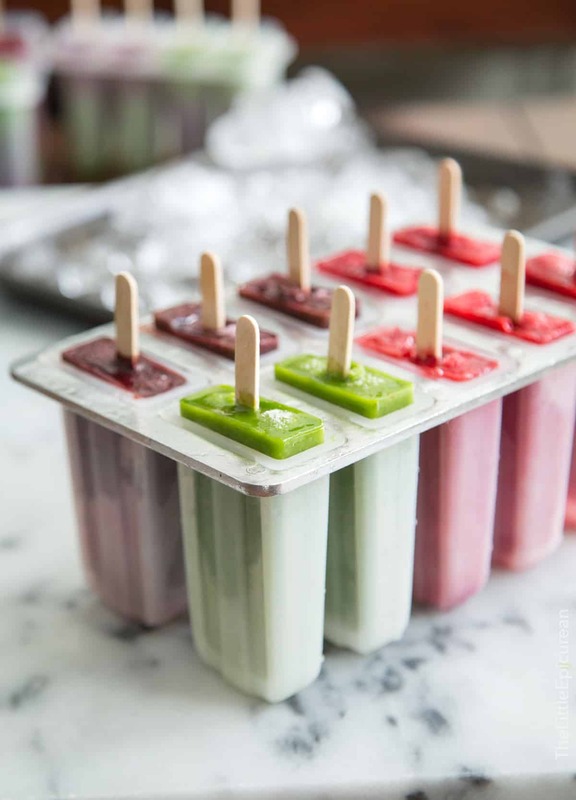 Pour smoothie into popsicle mold, cover mold, and insert wooden popsicle sticks in each cavity. 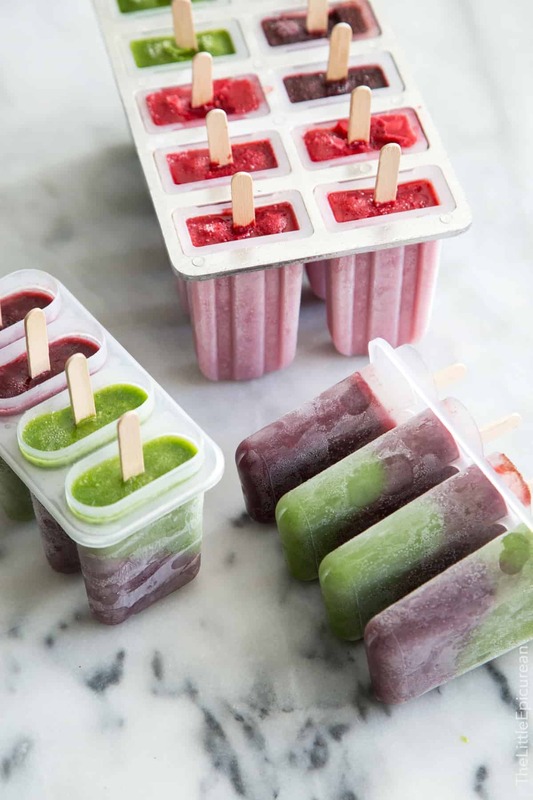 Freeze for at least 4 hours until solid.